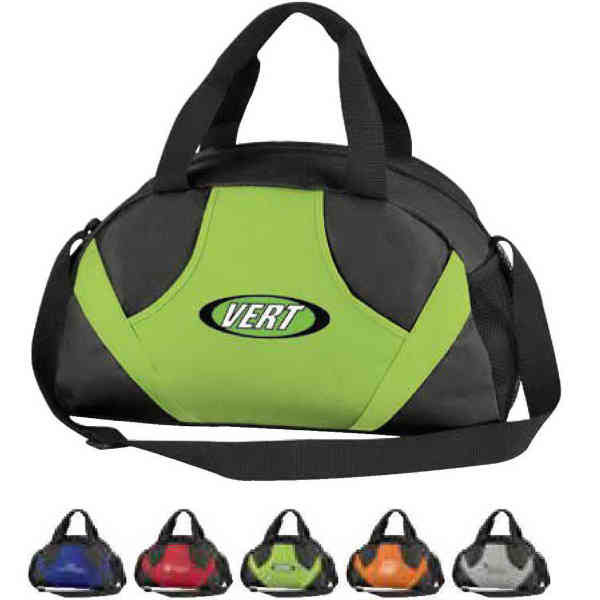 Spread the word about your brand with ease when you add it to this carry-me everywhere duffel bag! Measuring 19" x 10" x 8", it's offered in a handful of bright, eye-catching colors and is made of 600 denier polyester with 100 GSM diamond textured, nonwoven, heavy polypropylene. It features a color slot opening for storage, (i.e. yoga mat), a side mesh catch pocket, black bottom and back panel, zipper closure and adjustable black web strap. Add your name and logo before handing it out at your next event to give your brand a boost! Size: 19 " x 10 " x 8 "
Price Includes:decoration for one color and one location.